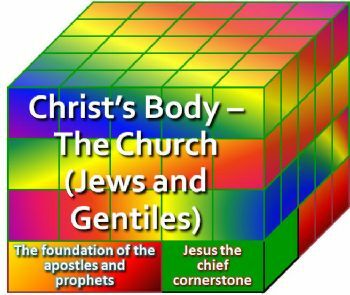 22 The Even (Stone) which the Bonim (Builders) rejected [mem-alef-samech, see same word Psalm 89:38 (39)] has become the Rosh Pinnah (Cornerstone / Capstone). 23 This is Hashem’s doing; it is marvellous in our eyes. 42 Rebbe, Melech HaMoshiach says to them, Have you never heard in the Kitvei Hakodesh (Holy Scriptures), EVEN MAASU HABONIM HAYTAH LEROSH PINAH; MEIES HASHEM HAYTAH ZOT HI NIFLAT BEINEINU (The Stone which the Builders rejected, this one has become Head of the Corner; this came about from the L-rd, and it is marvelous in our eyes, TEHILLIM 118:22-23)? 11 “He [Yehoshua] is HAEVEN MA’ASU (“the Stone which was rejected”) by you, HABONIM (“the builders”), which HAY’TAH LEROSH PINNAH (“became the very corner”) stone. 4 Come to him [Moshiach], to that “Even Chayyah” (“Living Stone”), CHADAL ISHIM (“rejected by men” YESHAYAH 53:3; TEHILLIM 118:22; YESHAYAH 28:16) but BECHIR (“Chosen” YESHAYAH 42:1 [1:1]), and precious in the sight of Hashem. 5 You also, like avanim chayyot (living stones [2:24]), are being built up for a Bayit Ruchani (a Spiritual Beis, House) for a kehunnat kodesh (holy priesthood) to offer up zivchei ruach (sacrifices of the spirit) acceptable to Hashem through Rebbe, Melech HaMoshiach Yehoshua. 6 For it stands written in the Kitvei HaKodesh, HINENI YISSAD B’TZION EVEN PINNAT YIKRAT (“Behold, I place in Zion a precious corner stone” YESHAYAH 28:16; TEHILLIM 118:22; DANIEL 2:34-35), chosen, and HAMMA’AMIN LO YACHISH (“the one believing [on him, on Moshiach] never will be dismayed, ashamed YESHAYAH 28:16). 7 Therefore, to you who are the ma’aminim [in Moshiach] this EVEN (“Stone”) is YIKRAT (“precious” YESHAYAH 28:16), but to the Apikorosim (Unbelievers): EVEN MA’ASU HABONIM HAY’TAH LEROSH PINAH (“The Stone which the ones building rejected became the head of the corner” TEHILLIM 118:22 [YESHAYAH 53:3]). 8 And EVEN NEGEF U’L’TZUR MICHSHOL (“a stone for stumbling over and a rock for falling over” YESHAYAH 8:14). They stumble because they have no mishma’at (obedience 1:2,14,22; 4:17) to the Dvar Hashem which is also what they were appointed for [2K 2:9,12,17; Yd 1:4; Ro 9:14-24]. 9 But you are an AM NIVCHAR (“a chosen people” YESHAYAH 43:20; SHEMOT 6:7), a MAMLECHET KOHANIM (“a kingdom of priests, royal priests” Ex 19:6), a GOY KADOSH (“a holy nation” Ex 19:6), an AM SEGULLAH (“a people of treasured possession” Ex 19:5; Mal 3:17), for this purpose: that you may declare the wondrous deeds of the One who gave you the kri’ah (calling) and summoned you out of choshech into his marvelous ohr [Isa 43:21; 42:12]. 10 You, who once were LO AMI (“not My people” Hos 1:9) but now AMI ATAH (“My people you are” Hos 2:25), the AM Hashem (“the people of G-d”), the ones having not received rachamim, but now having received rachamim (Hos 2:25).